Why it matters: It’s fair to say that Anthem hasn’t turned out to be the smash hit BioWare and EA were expecting. Following what have mostly been middling reviews and early price reductions, some PlayStation 4 players claim it is crashing their consoles—and Sony is giving people refunds because of it. The game’s subreddit is filled with PS4 and PS4 Pro owners posting reports of mid-game crashes, but many of these aren’t your standard freezes or resets; users say it’s as if "someone pulled the plug without properly shutting the hardware down or if the power went out in the house." Following this type of crash, some found pushing the front button wouldn’t start the console; instead, they had to unplug the machine and plug it back in. When it does start, the PS4 displays a CE-36329-3 error code, which is described as a “system software” error. A few players claim their PlayStation 4 was bricked by Anthem. The cause of the problem remains unclear, but it may be a heating issue. EA recently said that it was investigating the matter. Unsurprisingly, those whose consoles are now expensive paperweights are advising people not to play the game. Several users are reporting that requests for refunds have proved successful. Strangely, Ask PlayStation UK tweeted that the issue was “outside our refund policy,” while Variety had no problems getting the money back using PlayStation’s support chat system. 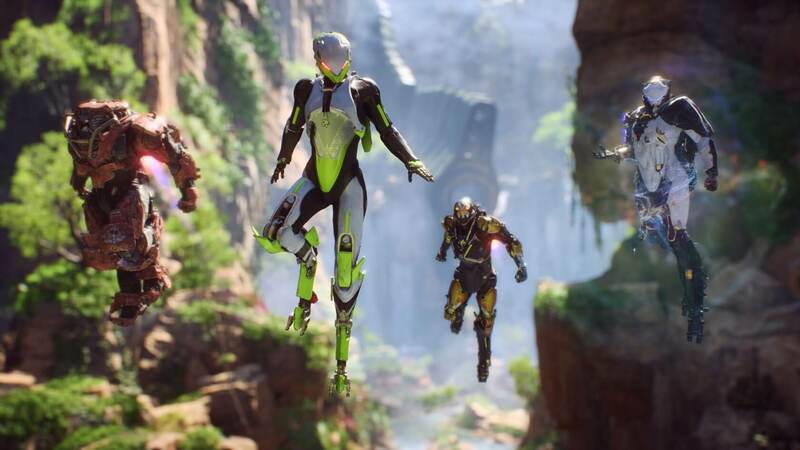 News of the crashes comes soon after EA announced fixes for Anthem's end-game loot issues.